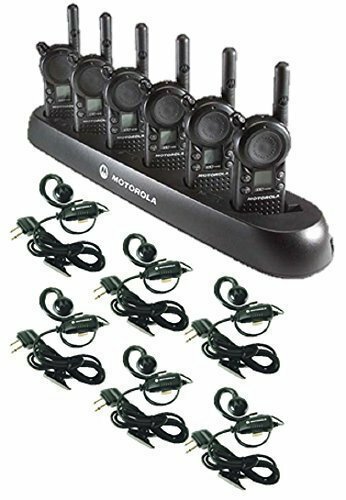 Six-pack of Motorola CLS1110 radios complete with C-shaped earpieces and a 6-bank charger. Each of our radios comes complete with a single-unit charger, 18 hour lithium ion battery pack and swivel belt holster. Each radio is 1-watt, 1 channels, UHF frequency range. Each of our radios comes complete with a C-shaped earpiece, single-unit charger, 18 hour lithium ion battery and swivel belt holster. Very clear, light, and simple. Small. One of our most popular models and good for a variety of different industries . 6 Radios and associated accessories. If you have any questions about this product by Motorola Solutions, contact us by completing and submitting the form below. If you are looking for a specif part number, please include it with your message.